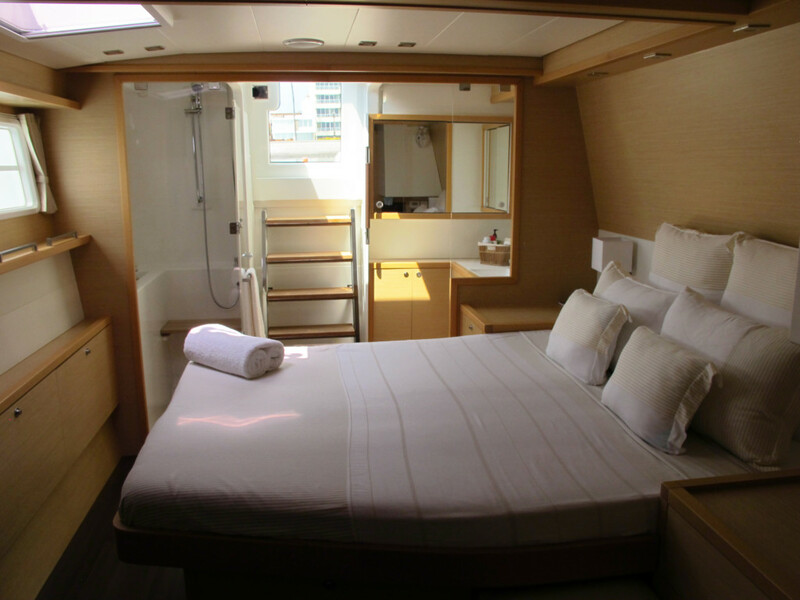 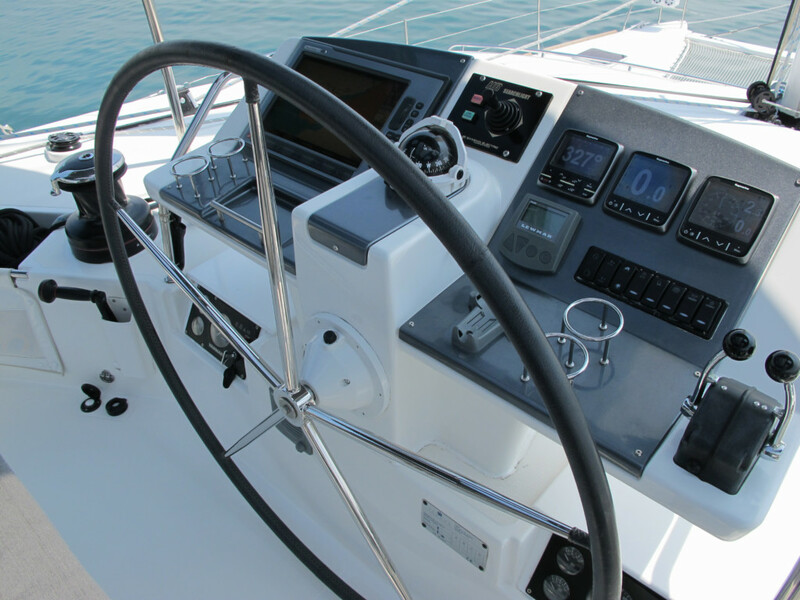 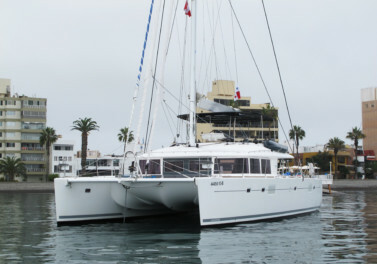 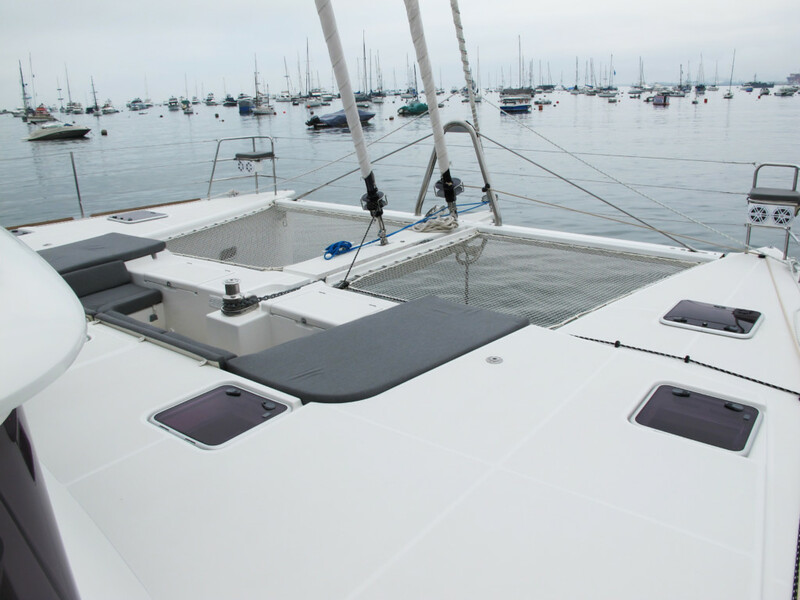 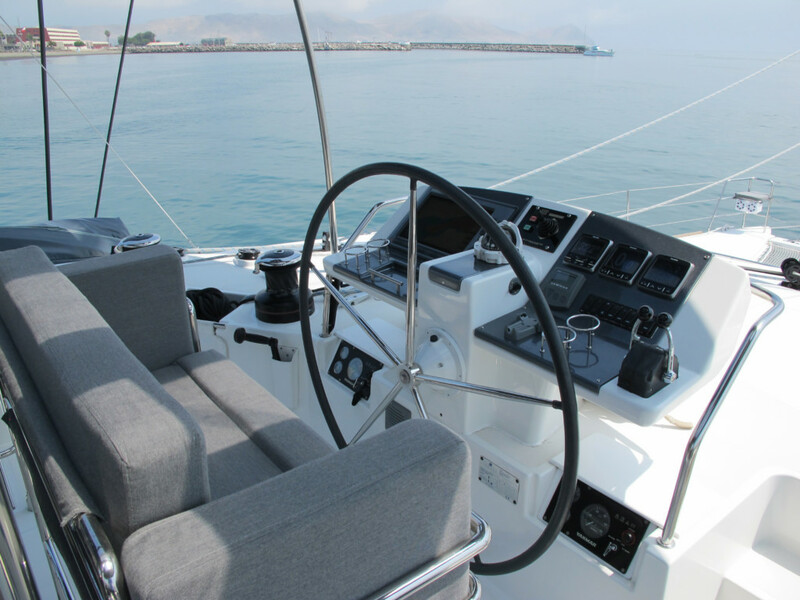 LUNA DE MAR has been crewed by professional captain and first mate since her delivery in the factory. 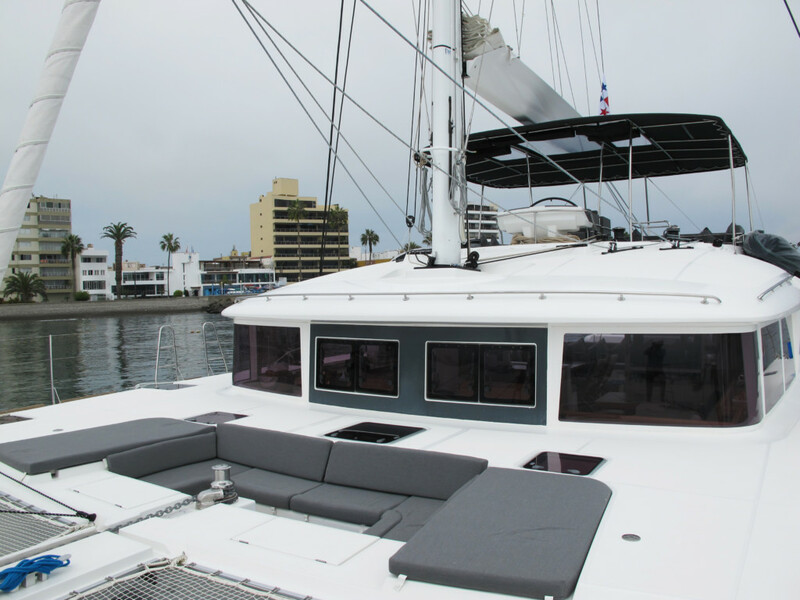 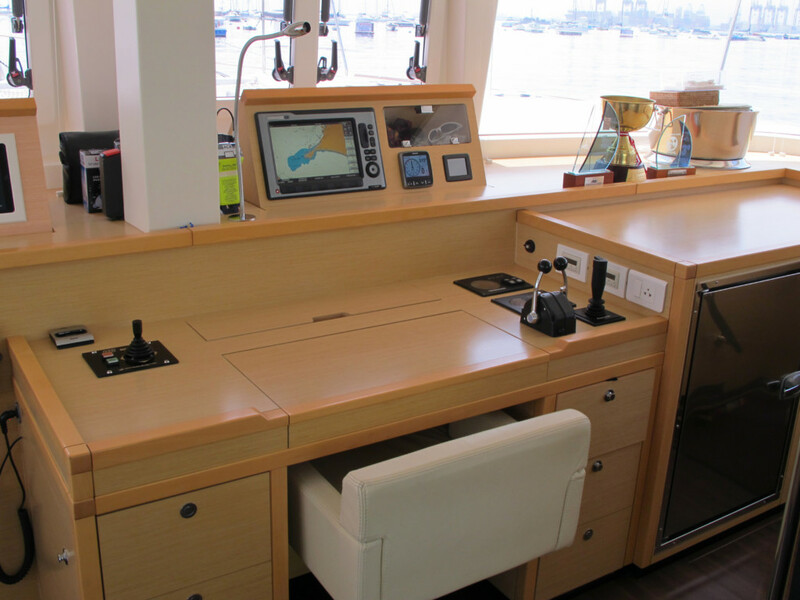 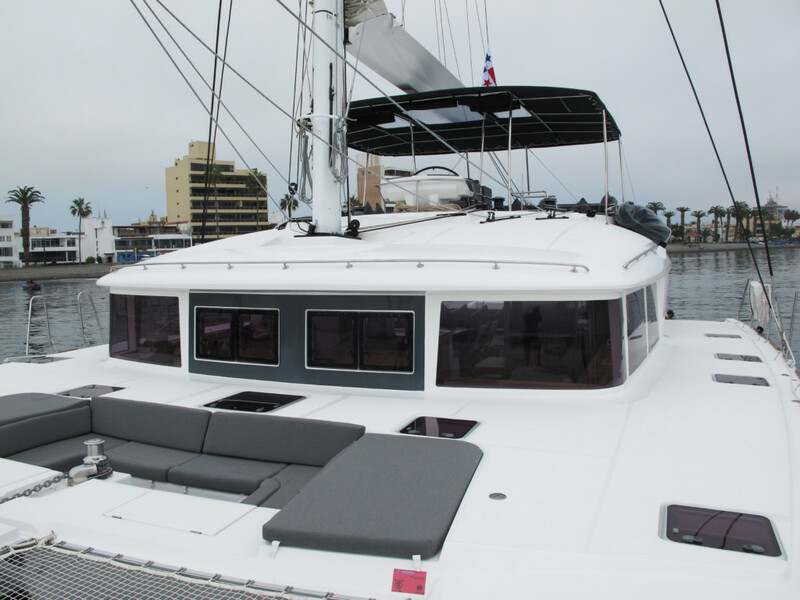 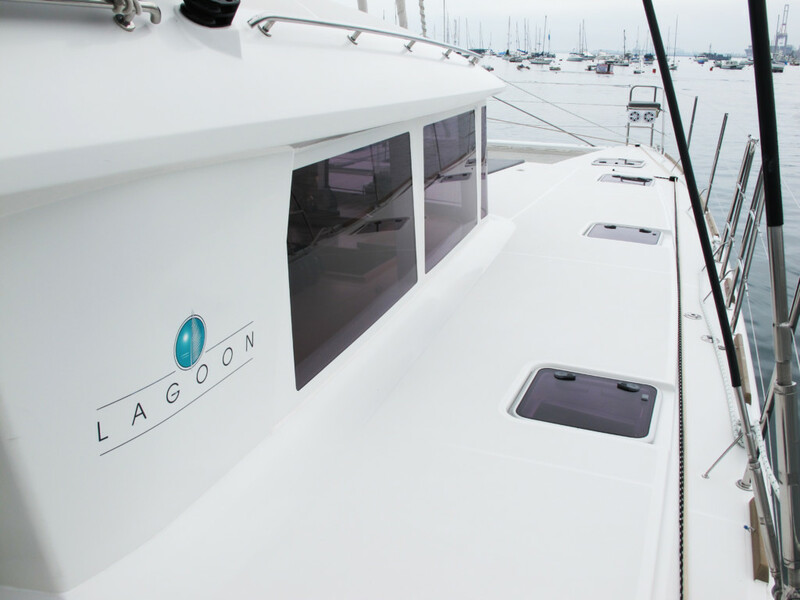 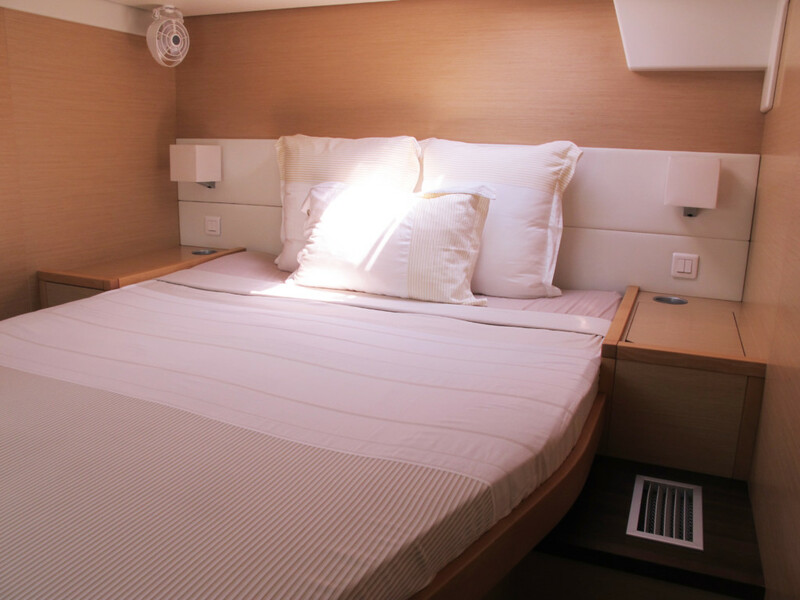 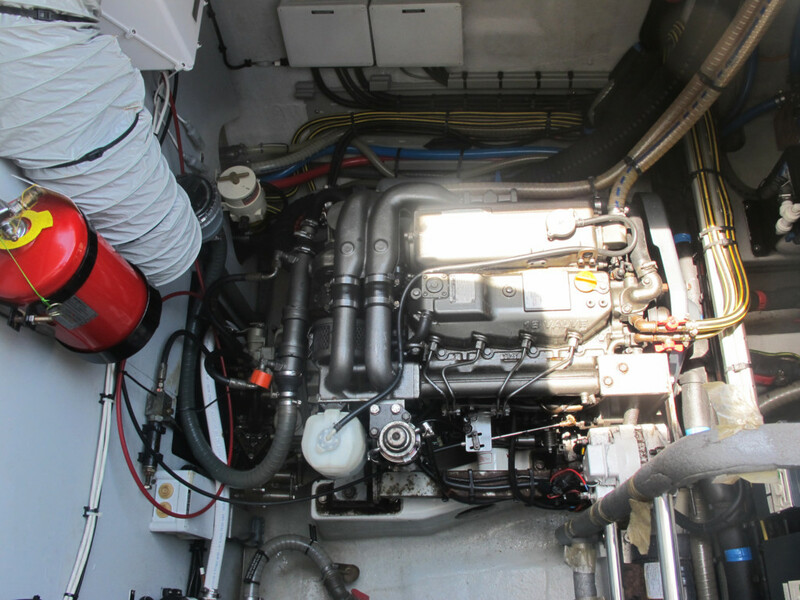 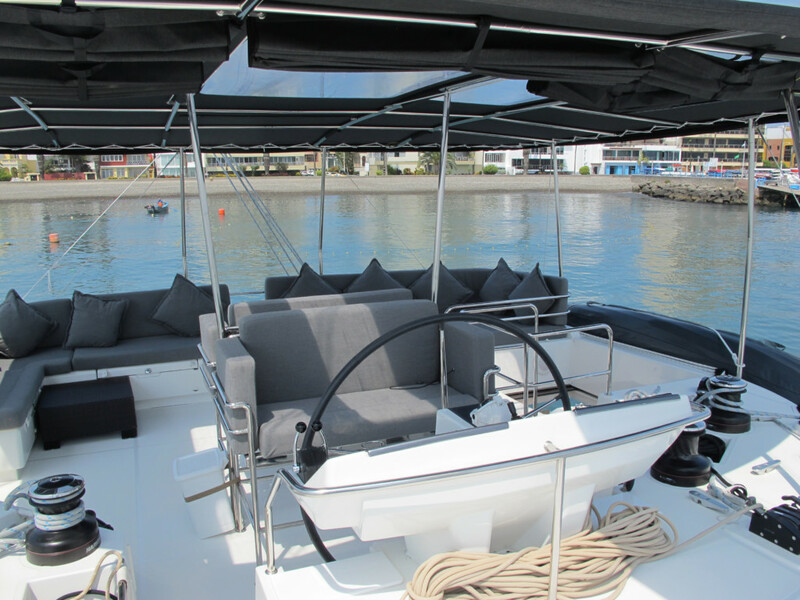 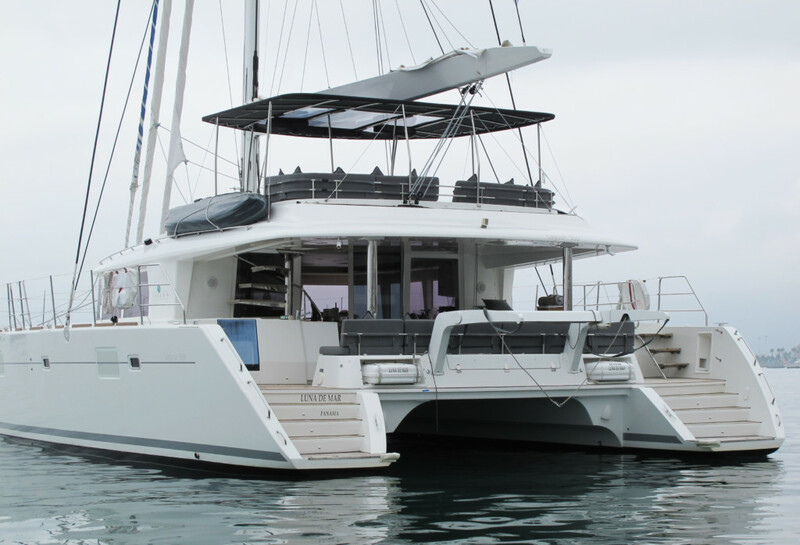 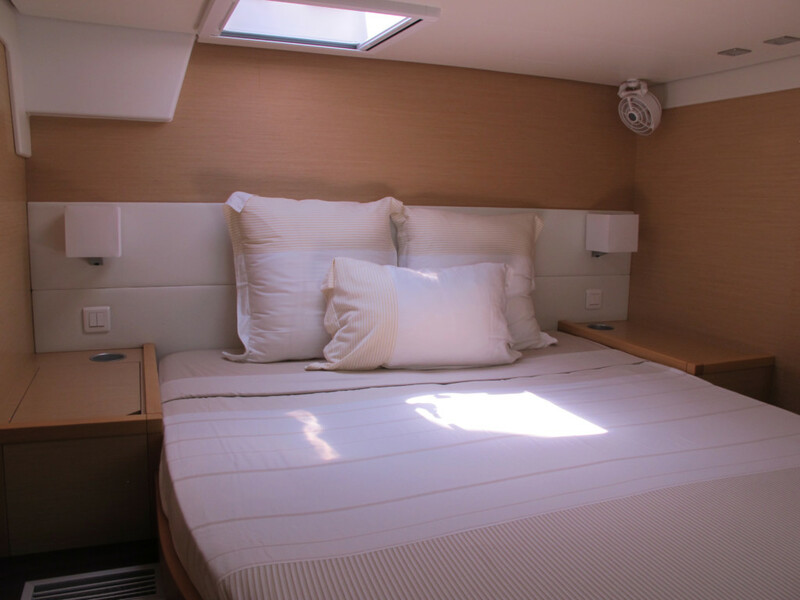 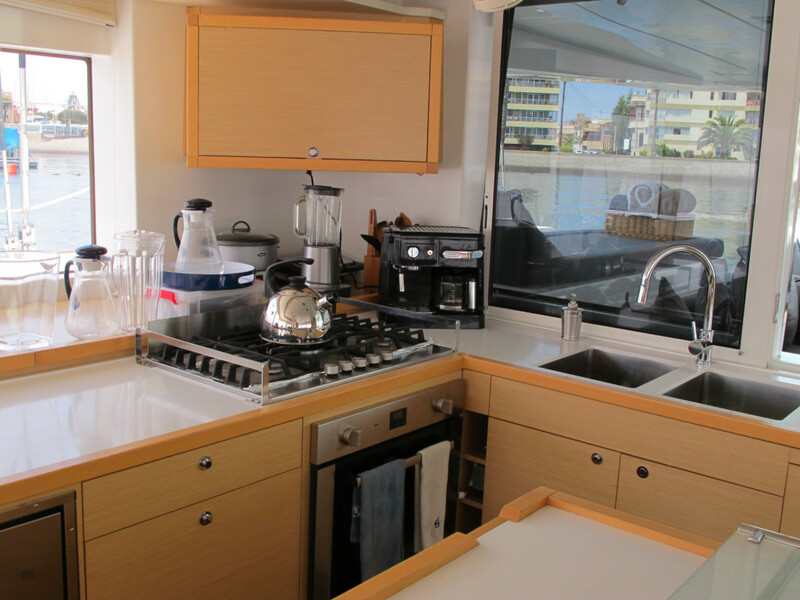 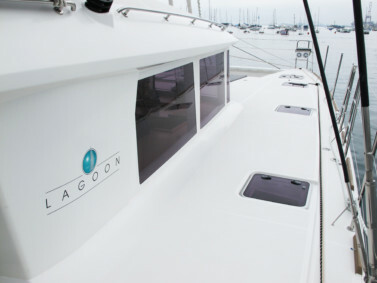 Thanks to meticulous nature of the owner, this Lagoon 560 has been cared for perfectly, all preventive and corrective maintenance made on time, as well as necessary upgrades. One of those important upgrades to mention is the version 2 of E-Plex technology, new batteries put in January 2018, Old computer touch screen system has been replace in January 2018 by the most recent system developed by Lagoon and E solution and is now monitored by a tablet computer, new exterior Sunbrella upholstery in 2018, new exterior Sunbrella shades for bimini in 2018, new UV head sails protector in 2018. LUNA DE MAR has been sailing mostly around Lima. 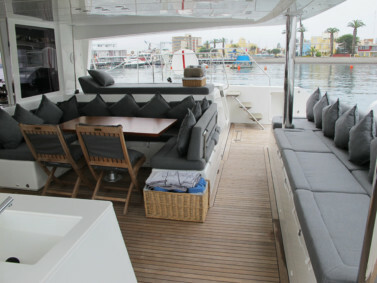 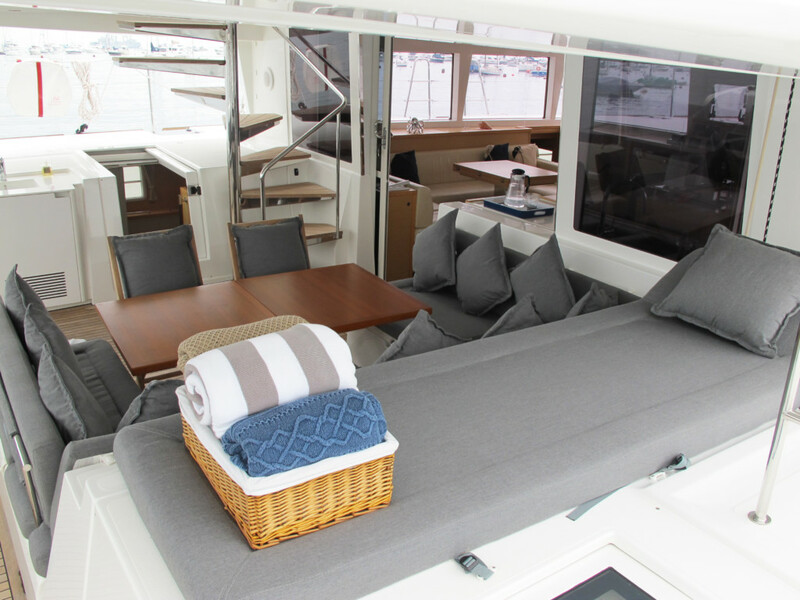 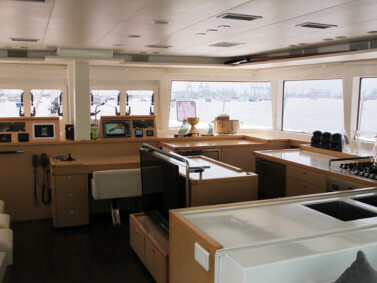 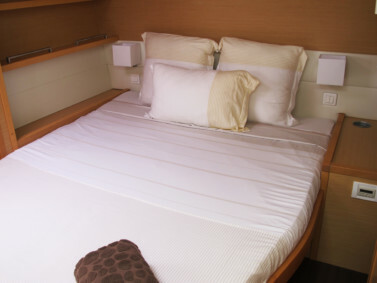 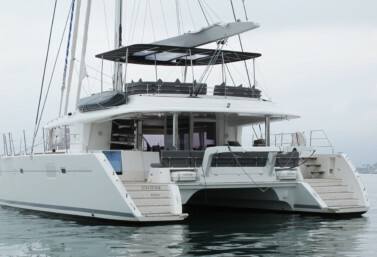 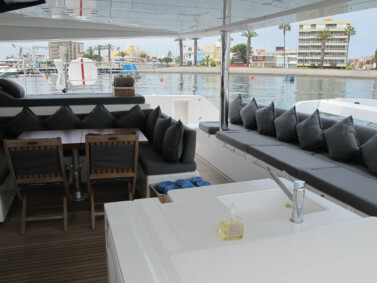 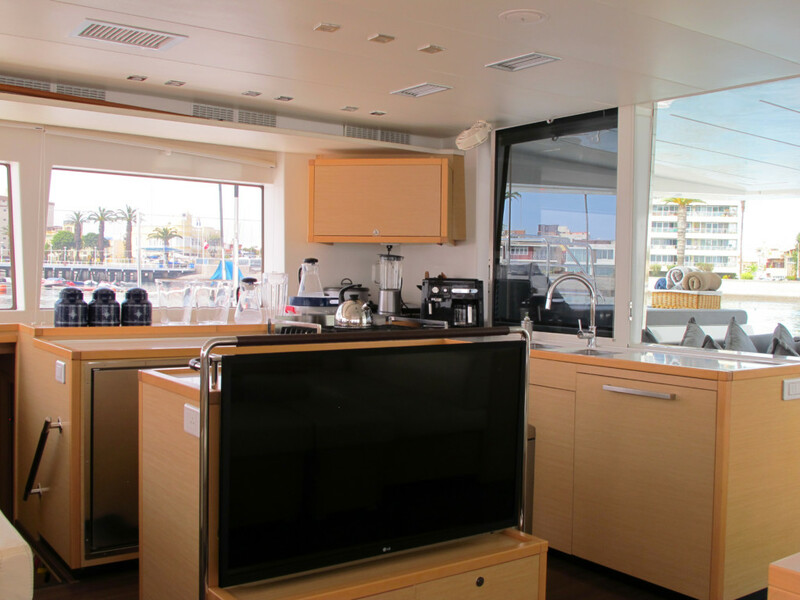 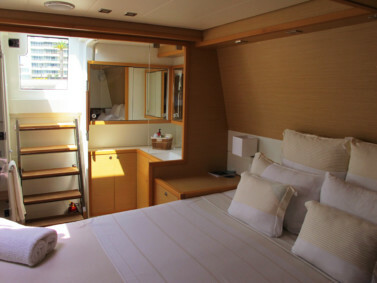 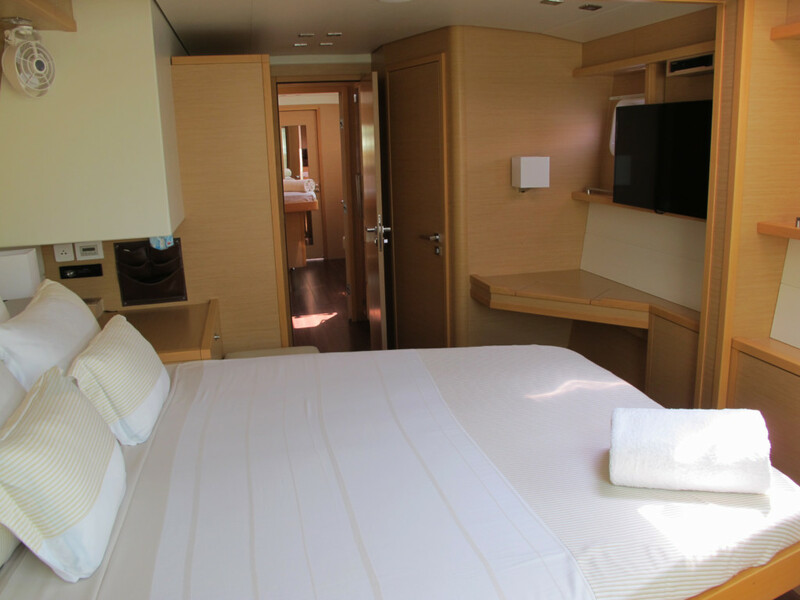 Flybridge with her own saloon and full size bimini, covering the entire area. 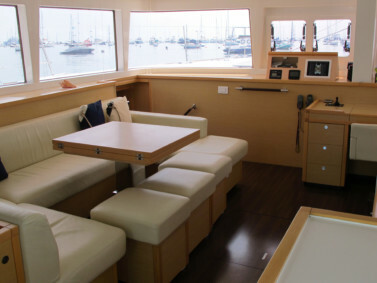 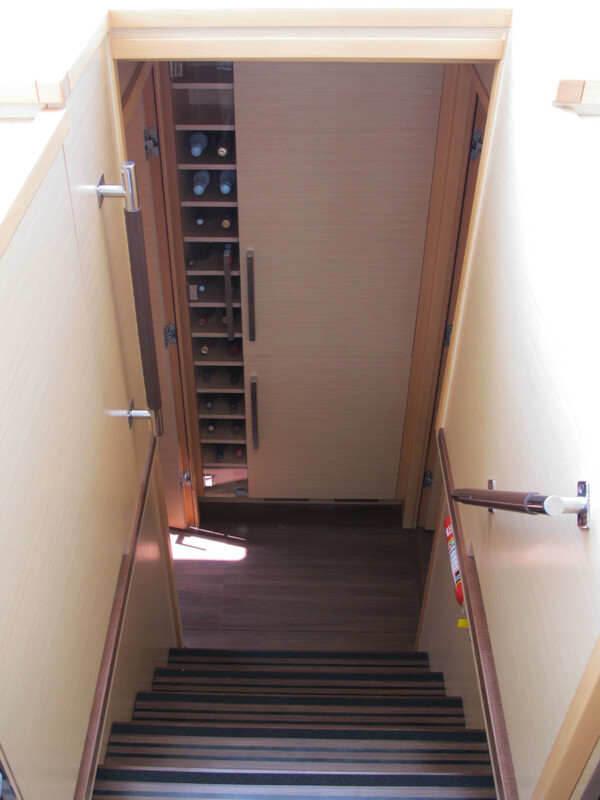 Extra custom seat on the back of helm seat allow to have a very pleasant social area. 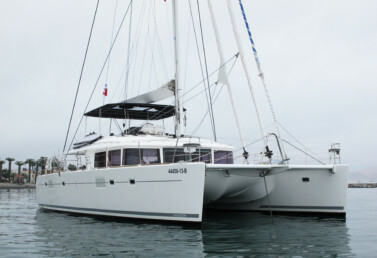 Square top mainsail, genoa and staysail in Hydranet and one big gennaker. 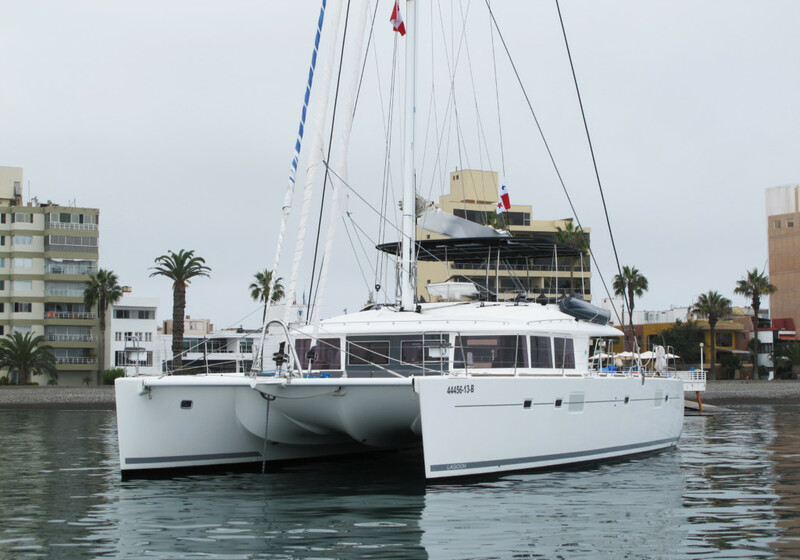 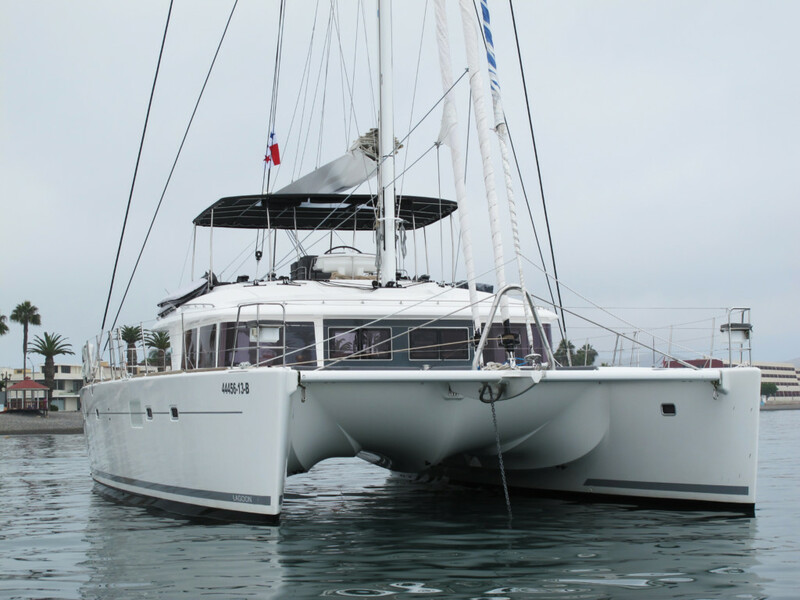 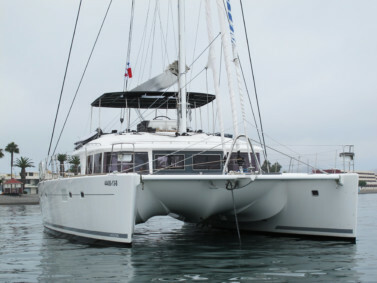 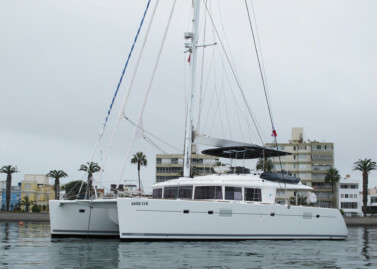 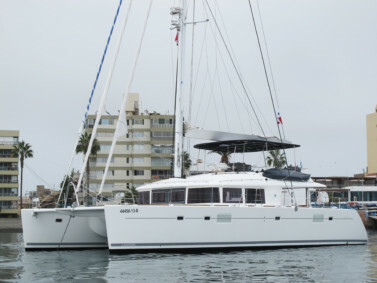 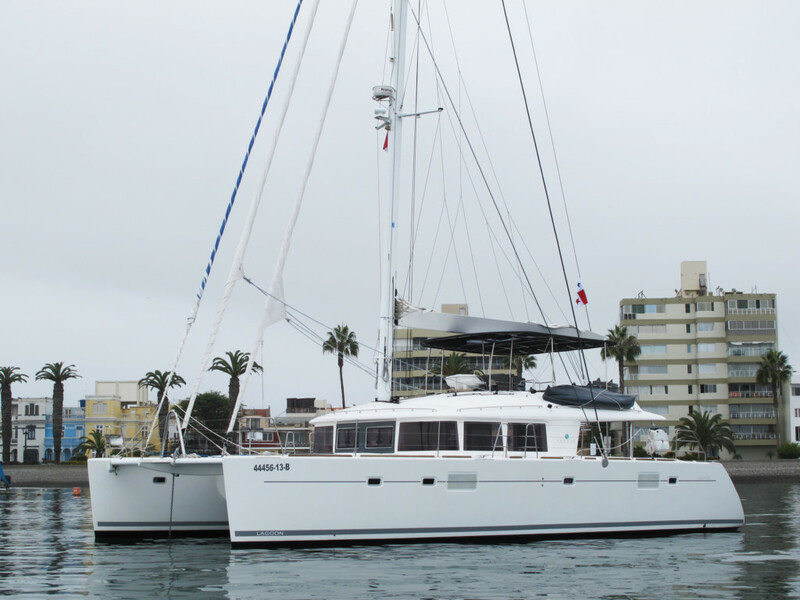 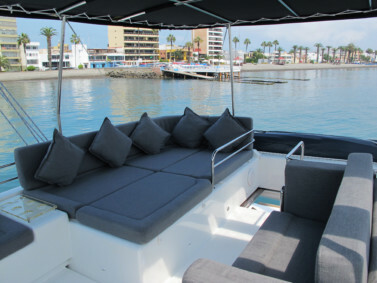 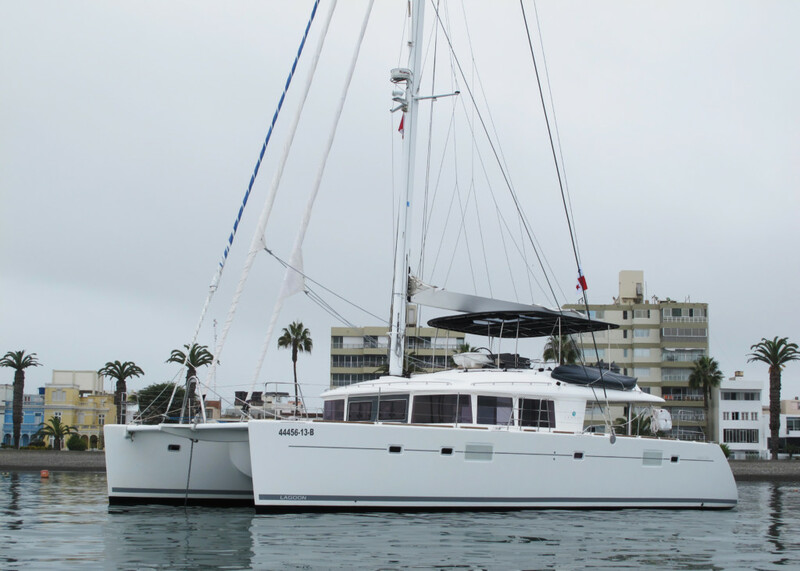 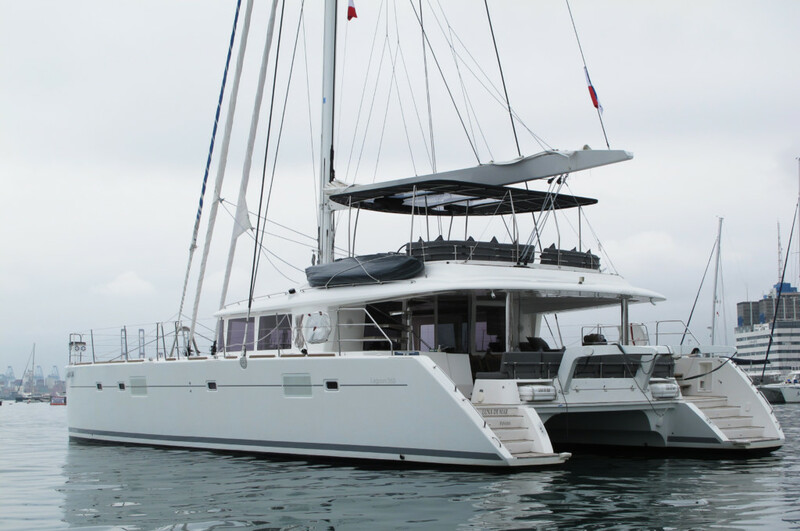 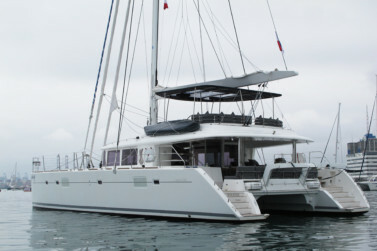 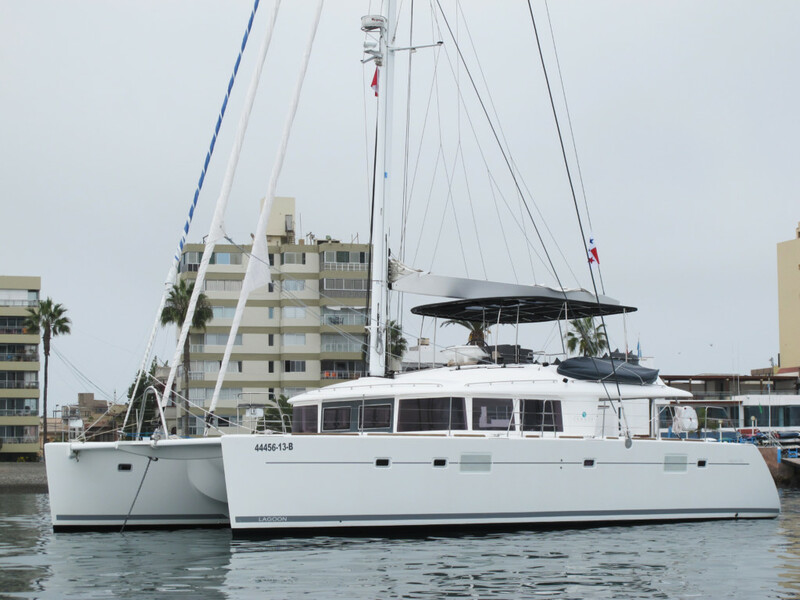 This is a rare opportunity of Lagoon 560 in such perfect condition, full options, never chartered, only owner use mostly around Bays of Lima (Peru).